1st Apr 2011, 4:55 PM in Caquelita mi amore! 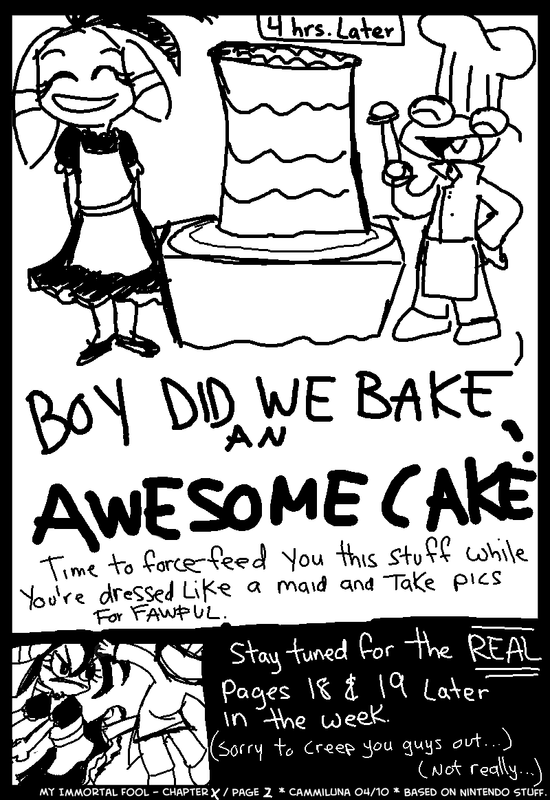 Kamek's love for pastries is a bit of an inside meme between friends and older DA readers, but the origins of it was basically me trolling a friend of mine, who roleplayed Kamek long ago and had a situation that left him permanently traumatized at the mere mention of pastries. Those were good times. I think I told another friend of mine years ago that I would one day draw Cackletta in a French Maid dress. WELL THEN.